To day was the last day from the boat show. 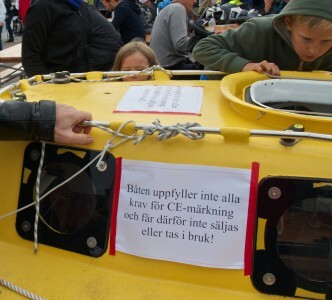 Beppe, my webmaster took two pictures of the boat with the sign from The European boating direktivs message. 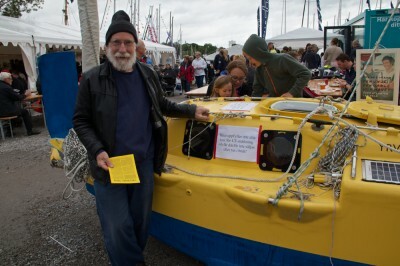 It translates that its illegal to sell the boat and to use it. Crazy ideas in a crazy world. Tomorrow I will give a talk in Nyköping.